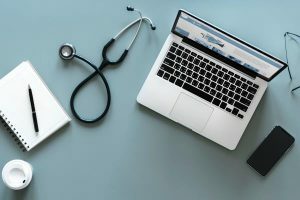 If you are a medical student or have recently got admitted to a medical school, you are probably looking for the best laptops for medical students. You need to find the best notebook that will last through college, and that will keep all your study material so that you can access them whenever you want. I understand it can be difficult to find the best laptops for medical students when there are so many promising options from different manufacturers. This is where we come in! After taking your needs into consideration, I have compiled this list to help you find your best laptop for medical school. What to Expect from a Laptop for Medical Students? All good laptops for medical students should have a good-looking, sturdy casing. Having an hybrid notebook is a smart choice to have all the versatility you need. It’s easier to hold when walking around and it’ll allow you to comfortably read and to take notes directly on your screen. That will make studying much more comfortable! On the best notebooks for medical students, you should expect enough power to easily run all the programs you need. But honestly, you don’t need that much performance. A lightweight laptop is one of the most important things since you’ll often carry it around. And if you want to take notes or read comfortably, a heavy laptop will certainly make your studies less enjoyable. Every laptop for medical school is well built, irrespective of whether it comes with an aluminum chassis or a plastic one. They will not bend, and will have a convertible or detachable mechanism that will last. A good processor combined with the right amount of RAM can help you open multiple tabs and do multitasking without slowing down the computer. I recommend at least an Intel i5 processor with 8 GB of RAM for peace of mind. Laptops running an Intel i3 will do the trick as well considering medial students deal mostly with notes, web browsing, and video streaming for their syllabus. You’ll very seldom need to run demanding software like animation students or architecture students do. A laptop for medical school doesn’t have to have a big screen like a notebook for computer science student would. As long as you can comfortably read and write, it’s fine. Being able to hold it easily in hands is more important. A laptop with smaller displays like a 12-inch or 13-inch is probably you best bet. A high-quality 14-inch might also do the trick, but I’d stay away from a 15-inch. All good laptops for medical school will be equipped with at least a full HD 1080p resolution display. As for the graphics, skip paying an extra for the graphics card, unless you’re looking for a gaming laptop. You won’t need it to become a future doctor. If you need to listen to a lot of lectures, you’re better off having a good audio system. Thankfully, most quality laptops nowadays have speakers that are loud & clear. At least for a laptop! You won’t host a frat party with it, but it’s more than enough to listen to videos in groups. Other important things to consider when choosing a medical student notebook include having a long battery life to take you through a whole day of classes, an SSD drive, and also a good selection of port is preferred. The Microsoft Surface Book is definitely one of the best laptops for medical school you can buy. It is a Windows 10 laptop that looks great and that’s equipped with really great features. It is a compact device that comes with a vibrant 13-inch display that can also be used as a tablet. If you like taking handwritten notes, the Surface Book is great since the screen detaches and the pen offers one of the most precise input & great note taking ability on the market. To handle day-to-day tasks, it gets an Intel i5 processor paired with 8 GB of RAM that offers buttery smooth performance. For storing your notes and articles, the 256 GB SSD storage is sufficient and fast. It’s also one of the rare notebook on which you can play games on since it comes with a dedicated NVIDIA GeForce GPU. The battery life is on par with any other competitor as it can keep the lights on for 12 hours straight on a single charge. It weighs around 3.34 lbs. It’s not the lightest, but it’s very acceptable considering the hardware. Read our full review. The Asus ZenBook UX461UA might very well be the only hybrid for medical school you should consider. It comes with a very stylish metal chassis, the battery lasts long, performance is solid, and above all, it’s very versatile. Instead of picking the smaller possible form factor Asus took a leap of faith and decided to offer a 14" full HD display that is simply stunning. The text is clear, and the high-resolution videos are bright & colorful. Under the hood, there is an Intel i5 processor bundled with 8 GB of RAM and 256 GB of SSD storage space. 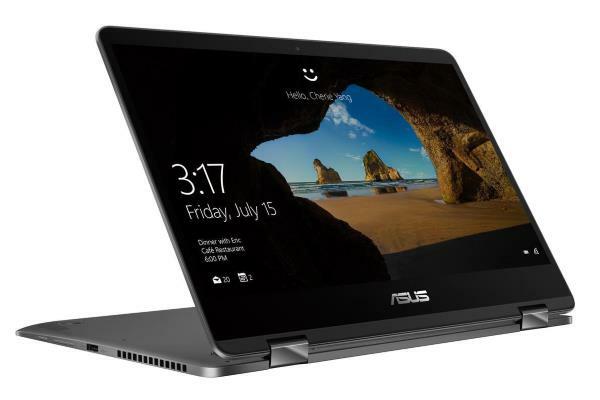 The battery life is excellent with 13 hours of claimed backup, and at 3.09 lbs the Asus ZenBook UX461UA is really light for a 14-inch convertible. There is no dedicated graphics, and you won’t need one if you purely want a laptop for medical study purposes. The integrated Intel HD graphics will be sufficient for any occasional graphics work you need to do. Really a great laptop from Asus! The HP Spectre X360 13t is one of these impressive notebooks for medical school. It offers everything you need in a package that looks stunning. It is a convertible, which means you can fold the lid all the way back and use it as a tablet. HP has included a stylus in the bundle that offers accurate input while taking notes. 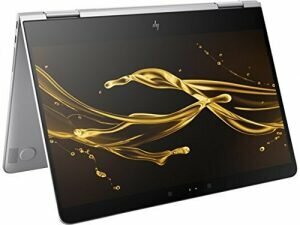 The HP Spectre is the crown jewel of the company’s laptop series, and the HP Spectre X360 13t stands up to the name. The 13-inch full HD display is one of the very best in this segment. The brightness is as expected, so is the rest of the viewing experience. Under the hood, it has an Intel i7 processor paired with 8 GB of RAM and 256 GB of SSD. The hardware combo offers solid performance, and with a battery life of 8 hours, you can get through the day on a single charge. If you are a fan of Dell convertibles, the Dell XPS 13 might just fit the bill perfectly. The laptop come with a stunning all-white chassis, and that edge-to-edge display makes it look like a device from a sci-fi movie. The build is solid, the performance is excellent, and it is a well-built all-rounder with some negligible downsides. 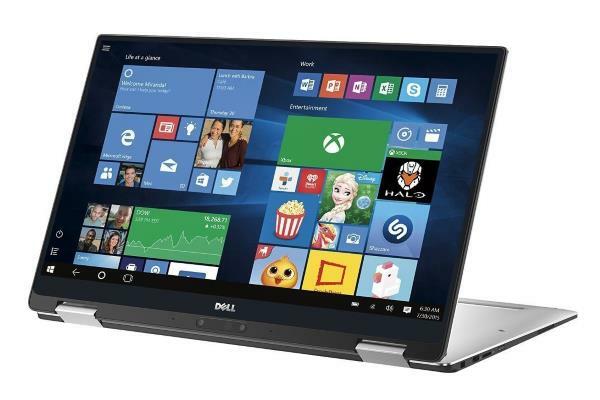 The Dell XPS 13 2-in-1 is a convertible device that comes with a 13.3" full HD touchscreen display. The vibrant display offers excellent viewing angles and color accuracy. An Intel i7 processor powers it with 8 GB of RAM and 256 GB of SSD storage. The performance is solid as well, and there isn’t an app this laptop cannot handle except for the graphics-intensive tasks due to the lack of a dedicated GPU. The battery life is more than excellent at 15 hours, and it weighs only 2.7 lbs. If you want a compact, premium looking laptop with top of the line specs, the Dell XPS 13 is the one you need. The Microsoft Surface Pro 4 is a very practical Windows 10 device that has all its features built into the display, which also acts like a tablet. A thin type cover allows you to use it as a laptop for taking notes. This type cover has improved a lot over the years, and the Surface pen is undoubtedly the best part of this 12-inch notebook if you happen to take a lot of notes. The Microsoft Surface Pro 4 comes with a 12" QHD touchscreen display which is as good as ever, with good touch response and viewing angles. Even at this size, it’s a full-featured laptop that comes with an Intel i5 paired with 8 GB of RAM. The processor is capable enough to run most of the Windows applications and didn’t show any slowdown during casual web browsing, note taking, multitasking, and HD video streaming sessions. There is a 256 GB of SSD storage as well that boots the device in an instant. The battery life is at 9 hours, which is decent. The type cover is decently comfortable to write on, and there is a good selection of ports for a device of that size. The Microsoft Surface Pro 4 is more of a powerful Windows 10 tablet with a type cover and is a very practical & portable laptop for medical students (or students in general). Read our full review. Just like any other laptop from the Spectre series, the HP Spectre X2 screams premium right from the moment you take it off the box. It is a well built detachable that can be used as a tablet, and it comes with a good keyboard as well. 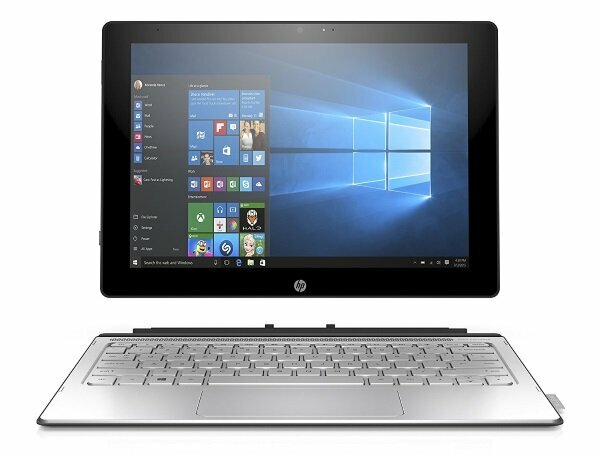 And the best part is that this version is a budget 2-in-1 laptop, even if it doesn’t look like it. The 12" HD display is a treat to the eyes and offers good viewing angles. Under the hood, it is powered by an Intel m3 processor and 4 GB of RAM. The hardware combo looks a little low when you compare it with Surface Pro 4, but the performance offers enough juice to get the work done. There is 128 GB of SSD storage as well that makes it faster. The battery life of 10 hours can easily get you through the day on a single charge and it weighs around 2.68 lbs making it an ultraportable device. The Acer Spin 7 is a 14-inch 2-in-1 that gets most things right. 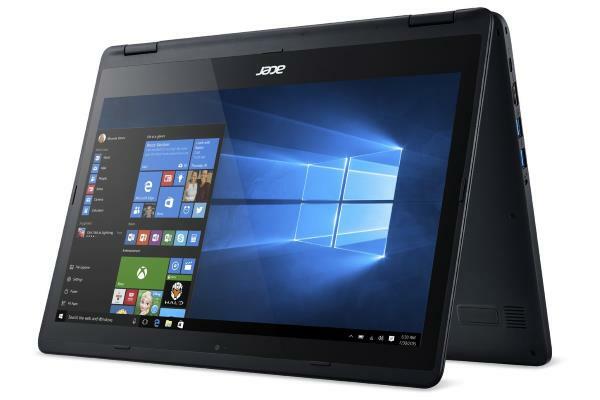 The Acer Spin 7 is premium looking laptop with a sturdy build. Open the lid to find the beautiful 14-inch full HD touchscreen display that offers great viewability & details, but that might be just a bit behind compared to other high-end laptop. Under the hood, it has an Intel i7 processor with 8 GB of RAM and 256 GB of SSD. The performance is great in general. On the plus side, the audio is good, so is the keyboard that is comfortable for long hours of typing. It runs on Windows 10 OS out of the box. The battery life is on the average side as well with a claimed backup of 8 hours. 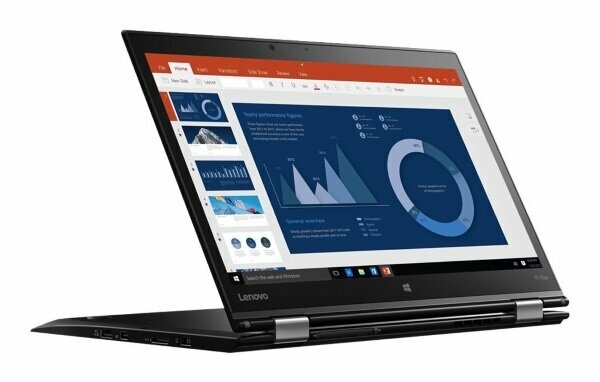 The Lenovo ThinkPad Yoga X1 offers everything you need from an ultraportable laptop with solid performance, elegant design and practicality. It checks most of the boxes right except maybe for the price tag. Lenovo has hired its best of designers to design the laptop as it looks as elegant and premium it could. It is also durable for a convertible, as are the other ThinkPad business laptops. Its equipped with a 14-inch full HD display offering adequate brightness and viewability. 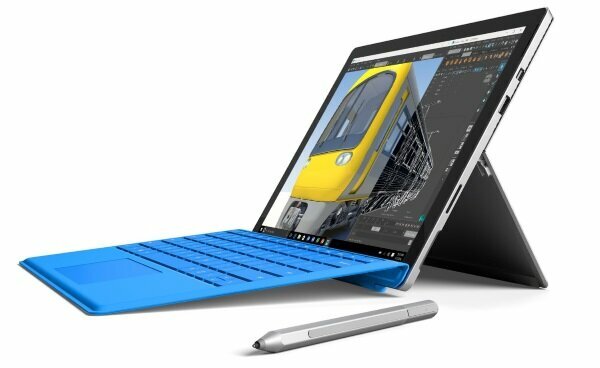 It is powered by an Intel i7 processor paired with 8 GB of RAM and a massive 512 GB of SSD. The battery life is around 11 hours on moderate usage which in real life would give about 7-8 hours. 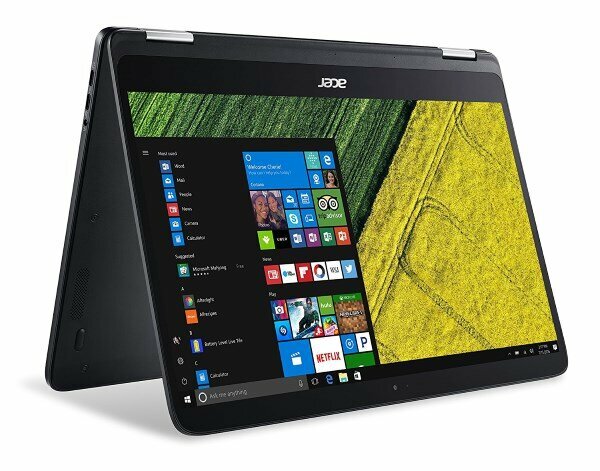 The Acer Aspire R14 may not be the latest of the lot, but it still packs some punch to give a tough competition to the latest entrants. It comes with a well-built chassis packing solid performance, excellent battery life and powerful audio. It does lose some points on the keyboard and display brightness though, but for the price, it’s very acceptable. The Aspire R14 offers a 14" Full HD display with Intel HD graphics. The screen is decent overall, but the brightness feels a little low at times. Under the hood, it is powered by an Intel i5 paired with 8 GB of RAM and 256 GB of SSD storage. The battery life is long enough, but the weight is something you should consider because at 4.19 lbs it is not the lightest. And the keyboard feels a bit shallow when compared to Dell’s and Lenovo’s keyboard. Nonetheless, it’s definitely one of the best notebooks for medical school. 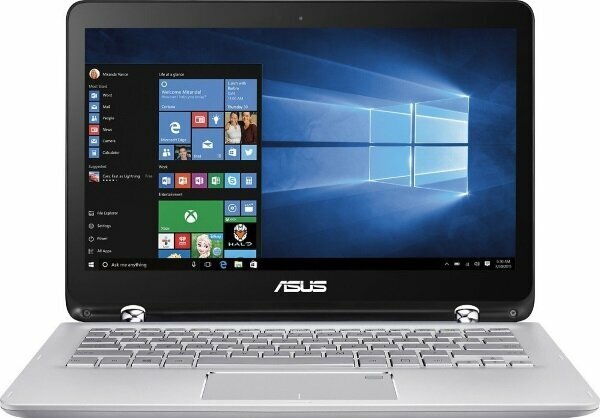 The Asus Q304UA is a budget 2-in-1 notebook running on Windows 10 OS out of the box. The build quality of the laptop is average, but still better than most competition at the same price. It is powered by an Intel i5 paired with 6 GB of RAM, and the performance is solid. The lid consists of a 13.3" HD display offering good viewability and viewing angles for work and playing multimedia content. It also gets plenty of storage with 1 TB of HDD storage mounted to the board. And, with up to 10 hours of battery life, the Asus Q304UA easily can last a day. What not so good though is the audio quality which is disappointing. Still, it deserves to be on this list of the best laptops for college medical students. Read our full review.